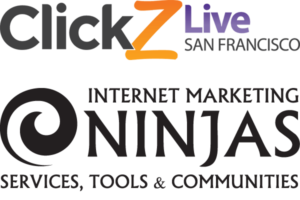 ClickZ Live in San Francisco is fast-approaching, and you won’t want to miss the sessions featuring Jim Boykin, Thom Craver and Chris Boggs, three SEO Rockstars from Internet Marketing Ninjas. Digital Assets (with Jim Boykin), Search Engine penalties (covered by Chris Boggs) and Analytics (with Thom Craver) will be the main topics of these three sessions, and there’s no one better to go in-depth with than the Ninjas. Simply put, these are three must-attend sessions at ClickZ Live. On Monday, August 11th IMN‘s Thom Craver will be leading a workshop on how to collect, interpret, and use your Web Analytics Data. In this 4-hour training session, you’ll be taken beyond the simple basics of checking web stats. Thom will teach you how to determine KPIs based on your business organization, as well as tactics to measure them across multiple channels from search to social to online and offline campaigns. In addition, Thom will show you how to determine useful metrics, tell you what metrics you should include as part of your KPIs, how to dashboard and report your results, and much more. Chris Boggs will be presenting case studies and strategic considerations as related to Google’s Penguin and Panda algorithm updates, along with other search engine penalties and updates. Find out why manual actions are one of the most important reasons for Webmasters and marketers to set up and monitor Google Webmaster Tools, in order to begin the process of requesting re-inclusion. Same day, Tuesday, Thom Craver is speaking about Analytics! On Wednesday, August 13th, catch Jim Boykin as he speaks on the power of Digital Assets, and how they can increase your SEO, SMM, and Branding signals. Jim started his internet marketing company over 15 years ago, and has been attending ClickZ / SES events every year since 2002, and has been speaking at them since 2006. Digital Assets, which include Infographics, Quizzes, Contests, Guides, Widgets, and Tools, just to name a few, are what will not only get people talking about you and sharing your content, but getting them to link to you as well. In this session, Jim will discuss the several types of Digital Assets that you can add to your site, and how you can reap the greatest benefits of your SEO, SMM, and content marketing campaigns. Catch Jim’s session at ClickZ Live, and discover that there’s actually a world where you don’t have to think about “link building”. It’s almost time for ClickZ Live in beautiful San Francisco. Catch these three great sessions and much more, at the Global Conference Series designed by Digital Marketers, for Digital Marketers. And don’t forget to come to Ninjas charity party as well! Internet Marketing Ninjas is teaming up with ClickZ Live to jointly sponsor a Charity Party on August 13th 2014 from 8:00pm to 11:00pm. This will be a private event in conjunction with Clickz Live San Francisco. The party, to be held at Harlot on 46 Minna, will be open to the first 150 people with a conference event pass. Want to speak at DMA 06 Conference?